I don't usually make art posts. 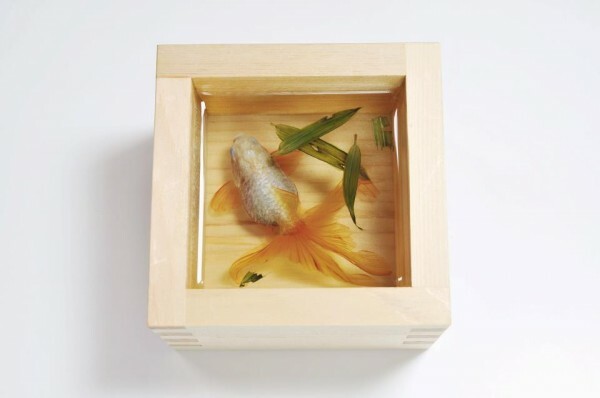 I prefer to focus on handmade products and writing and things like that, but today I really want to show you the Japanese artist Riusuke Fukahori. Great, goldfish. What's so great about that? 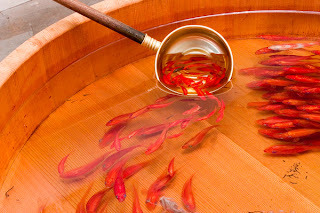 Well, aside from the wonderfully vibrant colours and the whole oriental vibe from the wooden tub, there's also the fact that they're not real. At all. In fact, just about everything in the images isn't real. 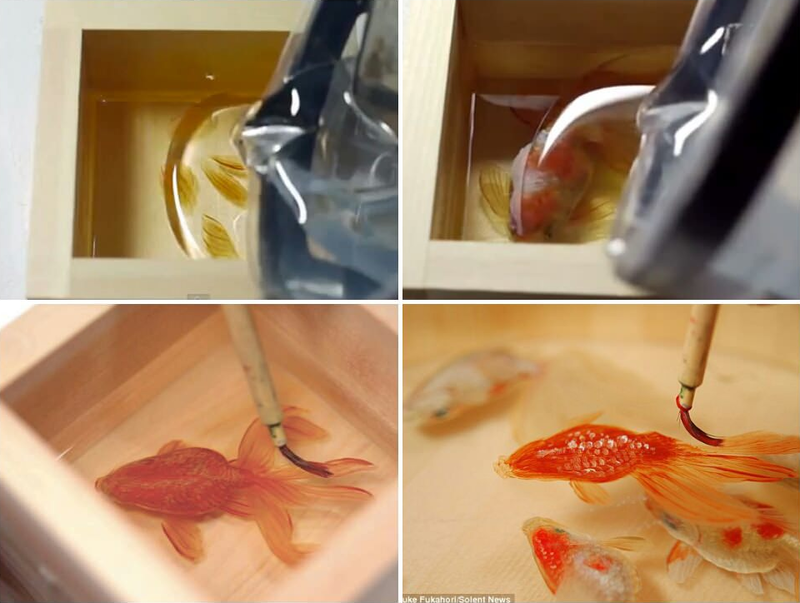 Through hours of tedious work, Fukahori creates these pieces with layers of resin, which he painstakingly paints different details of the fish onto. This - along with his fantastic painting ability - creates the effect of real fish within water. I absolutely love these pieces, and if there was any way I could buy one of them, then I would. In time. I doubt I could afford it. 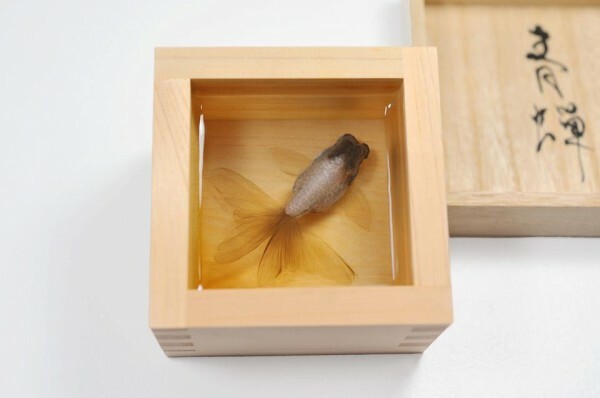 I'm admittedly afraid of water, but fish fascinate me so very much, and the sight of such gorgeous creations, coupled with the beautiful wooden boxes, really just makes me fall in love with these even more. I really, really want one.